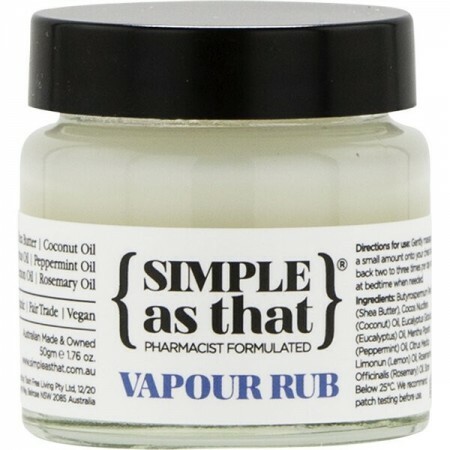 A pure and simple vapour rub to aid congestion, stuffiness, inflammation and improve breathing. Made on a buttery base of Shea and Coconut Oil, plus a potent blend of pure essential oils all known for their anti-bacterial, antiseptic, antiviral and anti-inflammatory properties. Nourish your skin and revive your senses. 50g. Shea Butter, Coconut Oil, Eucalyptus Oil, Peppermint Oil, Lemon Oil, Rosemary Oil. Browse our other rubs and balms. I haven't yet had a full blown cold but the vapour does smell like it would help decongest a stuffed noise. I wish the smell was more stronger though. This is great to rub on your chest and soles of your feet too. Great it is natural and safe to be absorbed into your skin. 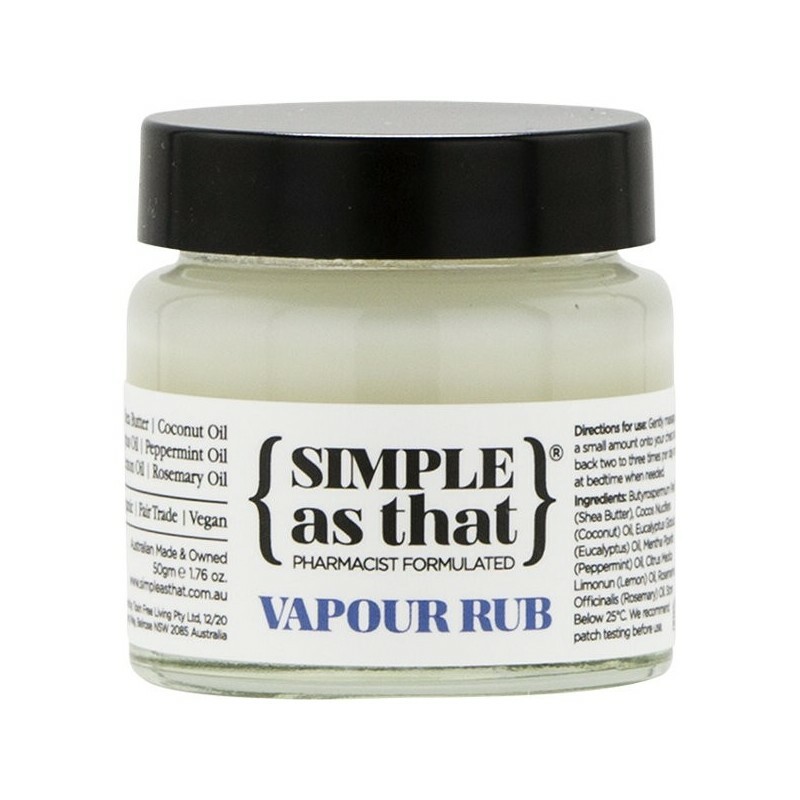 Amazing to know it's natural, ethically sourced and made - rather than buying Vapour rub that you know isn't from a supermarket/ chemist. Feel better to know you aren't putting toxic chemicals on your skin. Works great to get rid of blocked nose and bad sinuses! I recently used this for a cold. Great to know it's all natural but felt the aroma should be a little stronger, other than that, I was very happy with it.